jayarclaire (Grade: A) I love this book. Chabon's prose is a joy to read and the story is both original in its content and familiar in its themes - a new spin on a classic tale of brothers (if not by blood, then more than close enough) driven apart by circumstances but drawn together by fate and family. Any fan of silver/golden-age comics should read it for sure, but even someone without that interest would find this to be a wonderful book. mareuter (Grade: A) Breathtakingly good. One of the best books I have read in years. Full of wonder, mystery, and a world we wish were our own. notapuppy (Grade: B) A well written book, the themes are tightly wound together and enjoyable. bennettgavrish (Grade: C+) This is a mixed bag that loses steam as the page count grows. 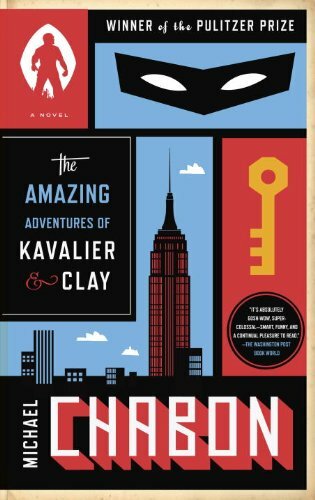 Chabon shifts most of the action and pivotal events off-screen, which only works if the characters are compelling enough to carry the narrative. The protagonists here are talented but hollow, repeatedly shocked that the world can be unfair to them. Chabon's meticulous research is evident in the interweaving of history with fiction, but there's not enough genuine adventure to make the novel a success. Electron (Grade: A) Chabon pays loving homage to the Golden Age of Comics in this novel. Beautiful!